Jacinta Dimase Management - Literary Agent: Choose Your Own Ever After Series wins Best Designed Children’s / Young Adult Series for ADDA awards! Choose Your Own Ever After Series wins Best Designed Children’s / Young Adult Series for ADDA awards! Congratulations to all of the shortlisted and winning designers for the Australian Book Design Awards 2015. 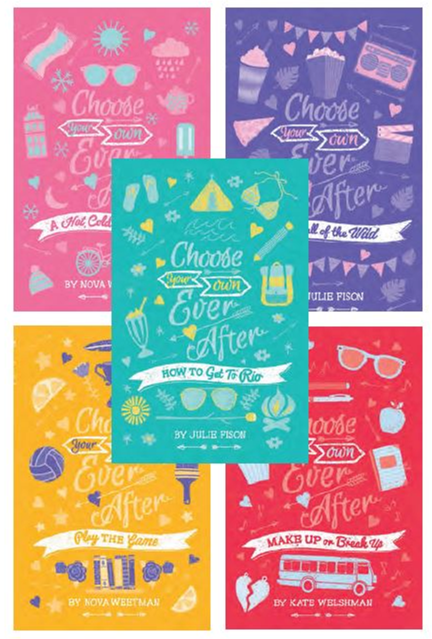 JDM management were thrilled to see that Kate Welshman’s book Make Up or Break Up for the Choose Your Own Ever After series was one of the winners.